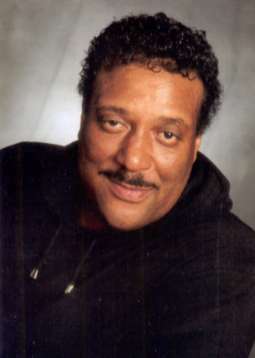 Born in Detroit, Michigan, on May 10, 1951. His full name is Ronald Dean Banks. Ron founded the Dramatics at a very young age. He attended Cleveland Jr. High at the time. Despite his age, the others looked to him for leadership. His brother, Bryan Banks, sang with the Five Special. Some of the members of the Five Special now sing with Dennis Edwards and the Temptations Review. Ron attended and graduated from Northern High School, where he won several scholarships for baseball and football. He is about 5'11-6'0 in height, his nickname is "Banko", and his personal style is casual comfort. 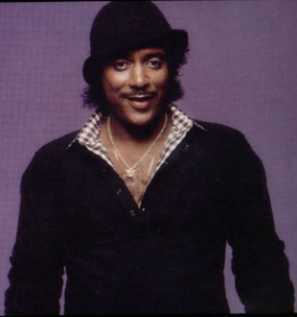 Ron has written and produced many songs for the Dramatics over the years, such as "Welcome Back Home", "Jane", "Yo' Love Can Only Bring Me Happiness", "California Sunshine", "A Holiday Thought", and the suggestive "Pushin Up On Ya" from the new Look Inside album. 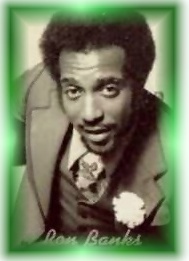 This first tenor-falsetto was highly influenced by Jackie Wilson, the Temptations, and especially Eddie Kendricks. In 1994, the Drams were asked to collaborate with rapper Snoop Doggy Dog on the song "It's A Doggy Dog World". Ron's reply? "What's a snoop doggy dog?" 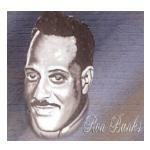 Some lesser-known facts about Ron are that he wears a gold Taurus pendant that he has had for "thirty-something years", his favorite dish is soul food, he has a great sense of humor, and he has so many favorite Dramatics songs, he can't choose just one! "We just felt that we had become too stagnated and everybody was individually thinking about trying to do other things; producing other acts and solo albums. I think, with the frustration of the business and all of our time and effort, we needed a break. It might have been the best thing that ever happened to us, the fact that we went on a hiatus between '82 and '87 because when we got back together we realized the audience that we had , maybe we took some of that for granted during our later years in the 1970s and early 1980s. Maybe that's why we had become so frustrated. We had forgotten what was really happening. We had already had an audience. But when we got back together we realized the audience that we still did have, and it was just something to realize that the Dramatics will always be the trump card. We don't care whatever else we do individually, whether it be solo albums or producing other artists. That's great but when we know that we can tour and sing in front of hundreds of thousands of people every year without a current record, then we know that we're getting ready to serve them right up". ---Ron on the group's hiatus in the early 1980s, taken from the book "A Touch Of Classic Soul" by Marc Taylor.